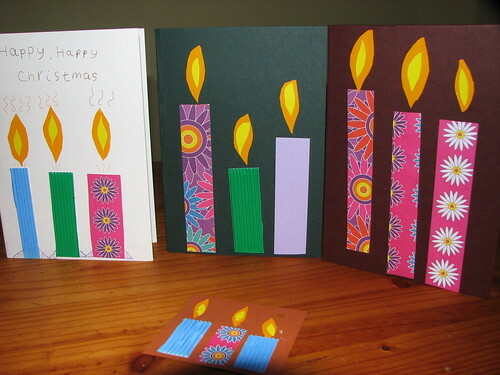 Posted by snoozerider in Christmas, handmade card swap, kids craft. 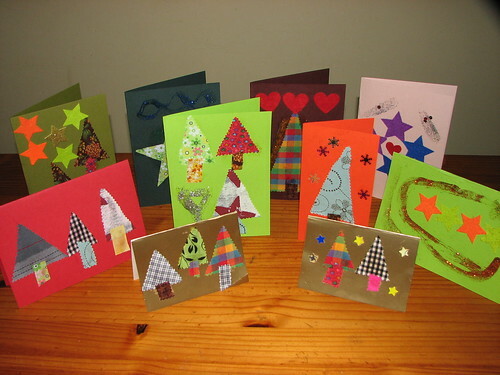 Well, we have now received all 10 of our handmade card swaps and they are all lovely. It is soooo nice to have a mantelpiece full of homemade cards. In fact, this year we haven’t even put up any non-homemade cards cos they spoil the effect ;-). It was good to read about other families and their Christmas traditions, including those in the States, Australia, Canada, South Africa and some Scots living in France. We will also steal some ideas for next year’s cards of course! 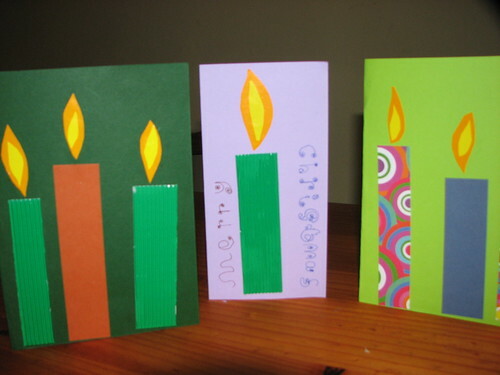 Posted by snoozerider in Christmas, handmade card swap, kids craft, Uncategorized. Here’s some more cards the boys have made. We should have enough for the handmade card swap and some of the family too. 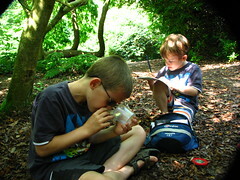 Posted by snoozerider in Christmas, collage, kids craft.